Our guest author, Jennifer Buske, works in the Loudoun County tourism office, and she’s rounded up some Northern Virginia wineries with big fireplaces and homemade soup. Warm thanks to Jen for the travel tips. While winter brings colder weather and occasional wishes for warmer days, there are so many wonderful aspects to this blustery season. For starters, there is nothing better than sitting by a cozy fire, listening to the crackling of the wood and soaking in the warmth of the dancing flames. It’s also the perfect time of year for enjoying red wine while watching the snow fall and for savoring the flavors and smells that come along with a warm bowl of soup. This winter season enjoy toasty fires, hot soups and true Southern hospitality in Loudoun, VA where many of the county’s 40 wineries stay open year-round, offering award-winning wine by the fireplace and homemade comfort foods. Here are five places to warm up in Loudoun’s wine country. Settle into the oversized cushion chairs in front of the fireplace at this winery located just minutes from both historic Leesburg and downtown Purcellville. The winery offers six wines for a tasting plus an optional chocolate pairing where visitors can indulge in specialty truffles created specifically to pair with winemaker Ben Renshaw’s wines. 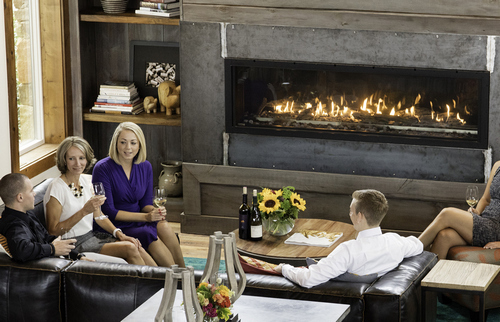 At Stone Tower, visitors will feel like they are relaxing in their own living room as the winery is filled with cozy couches, chairs, coffee tables, rugs and both indoor and outdoor fireplaces. Located on top of Hogback Mountain, visitors can enjoy stunning views of the Virginia countryside while sipping a Bordeaux-style blend or their Blanc de Blancs sparkling, which is 100% Chardonnay and created in the traditional méthode champenoise style. While Winery 32 has an indoor fireplace, it is known for its warm soups and homemade chili that are perfect for a blustery winter day. Winemaker and Owner Michael Moosher is also a chef and the winery prides itself on being one of the few in Loudoun to offer a menu on site. Despite the name, this winery is not the 32nd to open in Loudoun; instead it gets its name from a series of other coincidences in the owners’ lives. The winery is located on 32 acres of land, there are 32 peach trees growing along the driveway up to the tasting room and the owners planted their vines on their 32nd wedding anniversary. Located in a circa 1850s farmhouse, this winery just celebrated its 10th vintage in May 2017. 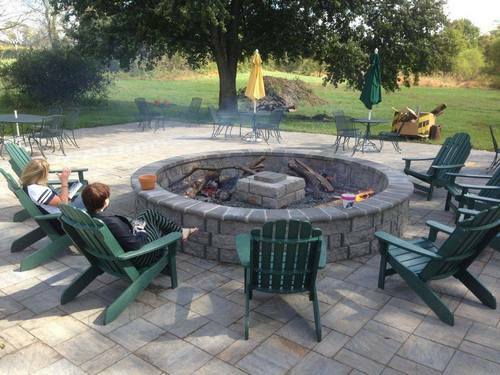 Visitors love Hiddencroft in the winter for the oversized fire pit surrounded by chairs on the outdoor patio. People also visit this time of year to purchase their specialty wines like Grandma’s love potion (blueberry wine) and Grandpa’s Fantasy (Blueberry port), which make great holiday gifts. Return in Spring for the new progressive history and wine tour, which takes visitors through the 19th century smokehouse, springhouse and other historic buildings on site. Otium Cellars is a unique Loudoun winery as it uses the Virginia terroir to grow traditional German varietals including Dornfelder, Lemberger and Grau Burgunder, which is a German clone of Pinot Gris. Savor a glass of Dornfelder- a red wine, with hints of plum, cherries and blackberries, while sitting by the brick fireplace. Visitors can also get a glimpse of the beautiful horses that are at neighboring Goose Creek Farms, a private equestrian facility.